Pervasiveness of e-commerce has transformed the retail sector by introducing online platforms for purchasing commodities and goods. Retailers have witnessed increased inclination of customers toward online purchasing on the back of high convenience and cost effectiveness of online platforms. This aspect has triggered retailers to adopt e-commerce software and platform to enhance customer shopping experience and increase their visibility to reach remote customers to increase sales of their products and services. Moreover, e-commerce software and platform provides seamless customer experience by linking mobile, offline and online shopping channels. E-commerce software and platforms enable delivery of all services and products of the retailer on a single platform, in turn increasing the convenience quotient for customers. This factor is likely to fuel the adoption of e-commerce software and platform in the forthcoming years. Robust growth of Big Data analytics has resulted in paradigm shift in the e-commerce industry. Data is now looked upon not as a bi-product of a business, but considered as a vital asset offering insights on customer behavior in terms of purchasing patterns, frequency and choice. It is now used as an important performance measure of a business that can be leveraged to enhance business activities and profits. In a bid to simplify complexities associated with Big Data analytics, providers of e-commerce software are integrating AI and data analytics with e-commerce software and platform. This integration has enabled enhanced customer traffic, in turn facilitating high revenue generation and improved sales. Moreover, e-commerce software and platform also provides analysis on customer satisfaction than can be used by retailers to explore new opportunities and increase profitability. Big Data analytics integration with e-commerce has significantly propelled the demand for e-commerce software and platform, in turn favoring their market’s growth during the period of forecast, 2018-2028. On-going technological advancements have raised the competitiveness of the retail market as increasing number of retailers are focusing on leveraging online platforms to capture new customer segments. A paradigm shift from on-premise deployment toward adoption of cloud-based deployment has resulted in vendors offering XaaS (Everything as a Service) that includes SaaS (Software as a Service), PaaS (Platform as a Service) and IaaS (Infrastructure as a Service). In a bid to retain customer loyalty, players are focused on using cloud based platforms such as SaaS as an effective deployment model for e-commerce software and platform. Moreover, vendors of e-commerce software and platform are focused on offering customized platform based on critical requirements of customers, which has led to the adoption of new methodology that can facilitate tapping a wider marketplace in order to enhance customer base. Against this backdrop, deployment of e-commerce software and platform through SaaS has gained significant traction since the past few years and is likely to retain its status quo in the years to follow. Scalability and flexibility of the e-commerce software and platform is largely impacted by the network infrastructure and the ability to handle increased traffic and rising demand for bandwidth. Increasing traffic is likely to result in software failure, which is expected to confine the growth of the e-commerce software and platform market. However, vendors of e-commerce software and platform are focused on enhancing network infrastructure to overcome this challenge. Increasing cybercrimes worldwide has posed a significant setback to the IT sector. Growing hacking threats and phishing attacks can potentially result in security breaches, and confidential data leak. This can further lead to misuse of customer data in turn inducing a dent in customer confidence resulting in high attrition rate. This aspect continues to challenge the demand of the e-commerce software and platform and its overall market’s growth. 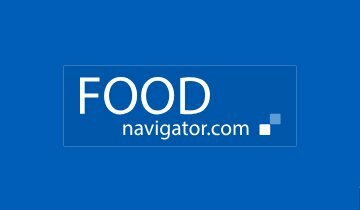 “E-Commerce Software and Platform Market Forecast, Trend Analysis and Competition Tracking – Global Review 2018-2028” is a comprehensive compilation of various insights based on accurate data gleaned using a unique research methodology. The e-commerce software and platform market report includes assessment on various deployment methods, along with in-depth analysis on various end users of the e-commerce software and platform. The e-commerce software and platform market report also includes regional assessment with detailed country level analysis that stakeholders can utilize to expand their footprint. The report also includes historical data analysis along with present market condition. Consequent chapters in the e-commerce software and platform market report also deliver future market projections for a period of 10 years, from 2018 till 2028. The report on e-commerce software and platform market highlights several trends influencing the market’s growth and also emphasizes impact of various drivers and restraints. It includes detailed opportunity assessment that can be used by the reader to tap key revenue pockets and enhance profitability. Sales of e-commerce software and platform are represented by US$ Mn. 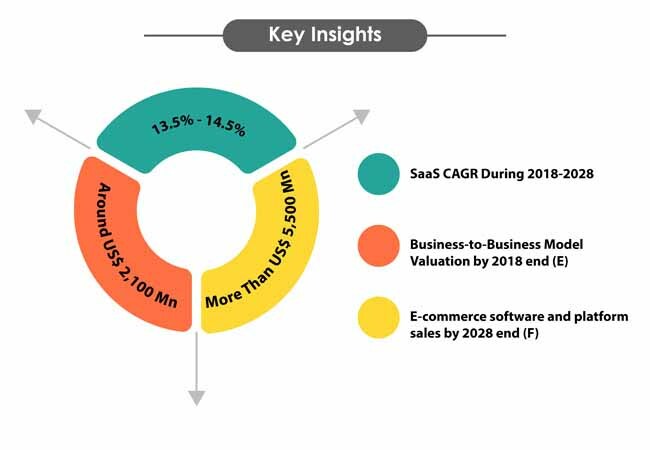 The growth rate of the e-commerce software and platform market is presented in terms of CAGR for the 2018-2028 timeline. The report on e-commerce software and platform market also includes vital metrics such as market attractiveness index, absolute dollar opportunity, year-on-year growth rate, supply chain analysis and value chain assessment. The report on e-commerce software and platform market also covers analysis on major participants involved in e-commerce software and platform. This analysis provides the reader with tools using which significant competitive edge can be achieved in the coming years. E-commerce software and platform is a tool that facilitates online store processes, enables efficient payment processing, inventory management, add or remove products and carry out tax calculations. E-commerce software and platform enhances efficiency in running an online store by streamlining online business operations. This tool is typically used across various industries such as electronics, apparels, travel and tourism and home and furnishing among others. How can business-to-business model influence sales of e-commerce software and platform worldwide? Can marketplace serve as an efficient business model for e-commerce software and platform? Can electronics industry unlock potential growth avenues for e-commerce software and platform? Can countries in the Middle East and Africa surpass CIS and Russia in terms of sales of e-commerce software and platform? How are privacy laws, cross-border data transfer restrictions and regulations impacting the adoption of e-commerce software and platform? The report on e-commerce software and platform market includes a detailed market taxonomy that has covered every angle of the market presenting a 360 degree view for the reader. The report on e-commerce software and platform market contains analysis on every market segment that has an impact on its growth during the assessment period. The e-commerce software and platform market is segmented on the basis of deployment, business model, end user and region. 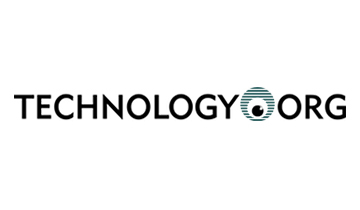 The deployment category is further classified into on-premise and SaaS (Software as a Service). The business model segment is categorized into business-to-business, business-to-consumer, marketplace and others. 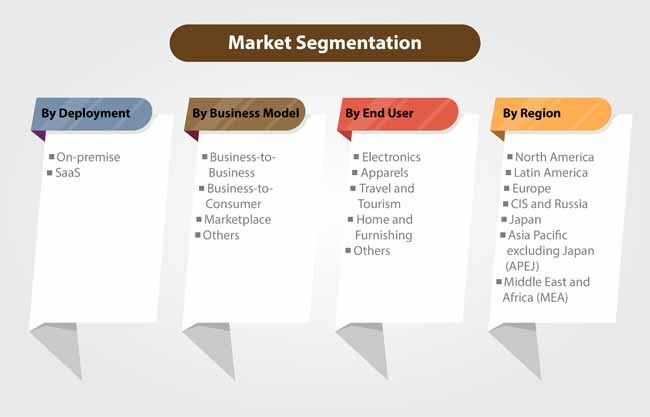 Moreover, analysis on various end users such as electronics, apparels, travel and tourism, home and furnishing and others have been covered in detail in the e-commerce software and platform market report. Regional assessment includes analysis on regions of North America, Latin America, Europe, CIS and Russia, Japan, Asia Pacific excluding Japan (APEJ) and Middle East and Africa (MEA). It also covers analysis on various countries such as United States, EU-4, United Kingdom, Greater China, India and GCC countries, to name a few. Note: Apart from the mentioned countries, the report covers analysis on Canada, ASEAN countries, BENELUX, South Korea, South Africa, Israel and Turkey. 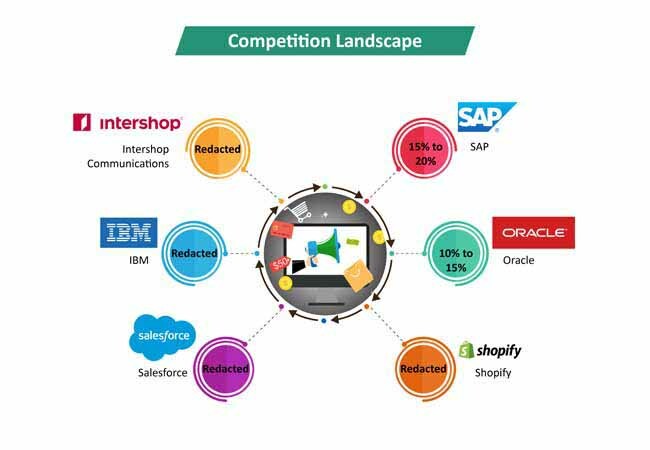 The research report on e-commerce software and platform market offers a complete understanding on the competition involved in the marketplace. This chapter reveals analysis on several key companies participating in the e-commerce software and platform market, including aspects such as product portfolio analysis, company overview, market shares, marketing strategies and mergers and acquisitions. The report also provides a thorough SWOT analysis with developments and product innovations carried out by major players. For instance, in 2017, SAP SE acquired Gigya, an organization that supports in managing online customer profiles and identities, in a bid to reinforce its Hybris e-commerce division. Likewise, in 2017, Oracle Corporation introduced its Oracle Commerce Cloud for Lenox in order to modernize shopping experience. The report on e-commerce software and platform market has profiled key players such as Oracle Corporation, SAP SE, Shopify Inc., Salesforce and IBM, to name a few. The e-commerce software and platform market report is drafted using a unique research methodology. This research process is a unique amalgamation of primary and secondary research that deliver higher accuracy of data. The research process starts with secondary research followed by primary scrutiny. Key stakeholders in the e-commerce software and platform market, opinion leaders, market observers and subject matter experts across the world have been interviewed to deep dive into the e-commerce software and platform space. This robust research methodology is used to obtain a thorough quantitative and qualitative analysis of each market segment of e-commerce software and platform, in turn extending an unbiased intelligence support to the reader.